In Northern India, about 30 kilometres from Dharamshala, in the lush foothills of the Himalayas of Himachal Pradesh, close to the famous cave where the Mahasiddha Tilopa meditated, a Buddhist institute has been founded for the purpose of educating young people in the monastic traditions. With a striking vista of the mountains, the Institute is perfectly situated for deepening studies and expanding the education of young students. The Institute was established to maintain and spread the teachings of Buddha Shakyamuni in an authentic and comprehensive way. In addition, the monastery’s contribution will help to preserve the monastic traditions and the Himalayans’ rich cultural heritage in today’s world. Following these traditions, the essence of the Buddhist philosophy of life is conveyed to the young novices in order to deepen their understanding of Buddha’s teachings. This helps to prepare them for their lives as monks. At the end of their training, individuals are given the free choice whether or not they will take their monk’s vows at the age of 21. Students between the ages of 8-18 will begin their basic monastic training with the different practices of rituals, according to the Karma Kagyu tradition. Beside the main emphasis on the traditional aspects, general subjects are also part of the curriculum, as well as the Tibetan and English languages. 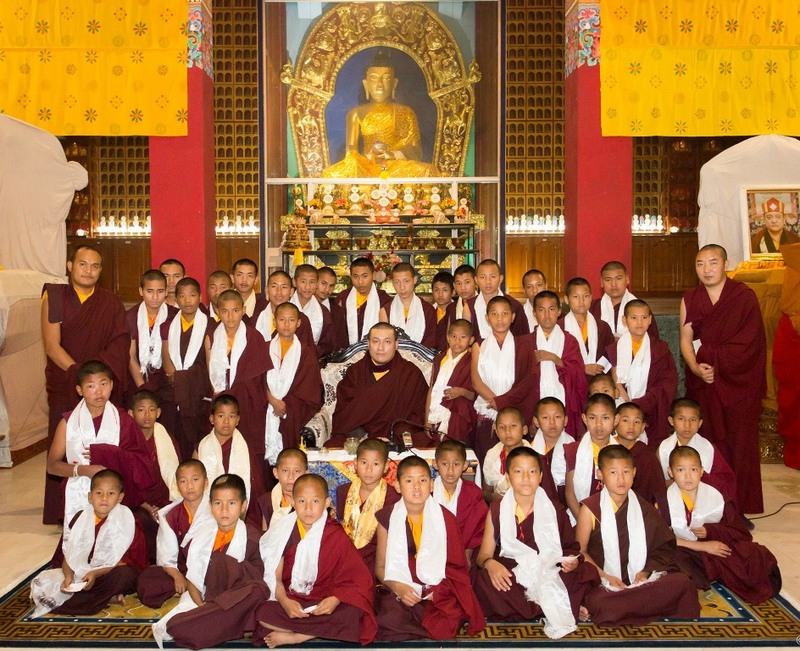 After a successful completion of this basic education, the students will continue their studies at a Buddhist University (Shedra) or continue the monastic life, as a fully ordained monk, in one of the monasteries under the guidance and direction of Thaye Dorje, His Holiness 17th Gyalwa Karmapa. The monastery’s campus consists of three separate buildings: The temple with the main shrine hall, which includes rooms for the monastic teachers and the monks’ quarters; an administration building which houses the study-hall, library, dining-hall and office; and a separate building which houses additional classrooms and provides accommodations for foreign volunteer teachers and staff. The Tilopa Institute stands on a nearly 10,000 square meter property, acquired in 1991 by the Tibetan nun Ani Pema Zangmo. From the beginning, she has nearly single-handedly orchestrated the building of the Institute. A small but determined woman, she has worked tirelessly to complete construction of the Tilopa Institute. Since 2017, the Tilopa Institute has been incorporated into South Asia Buddhist Association. The charitable trust manages and administers the programs and facilities of the Institute. Khenpo Rigzin graduated from Dzongsar Khyentse Chökyi Lodrö Institute in Chauntra, Himachal Pradesh. In 2013, a year after his graduation, he was appointed a Khenpo at DKCLI by Dzongsar Khyentse Rinpoche and Sakya Trizin Rinpoche. Since 2013, he has taught in Shri Diwakar Academy in Kalimpong, West Bengal. In 2015, he was appointed by Karmapa as the principal of the Tilopa Institute. Ever since, Khenpo Rigzin has been actively working for both institutions. 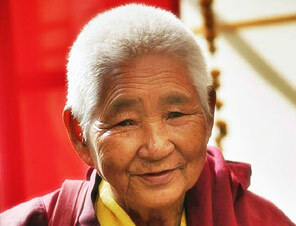 Ani Pema Zangmo was born 1937 in West Tibet near the Indian Border at a place called Dripki Gyaltsa. She is a devoted disciple of HH the 16th Karmapa and HH the 17th Karmapa. Already at the age of six she expressed her wish to become a nun and has committed her entire life serving the Karmapas.